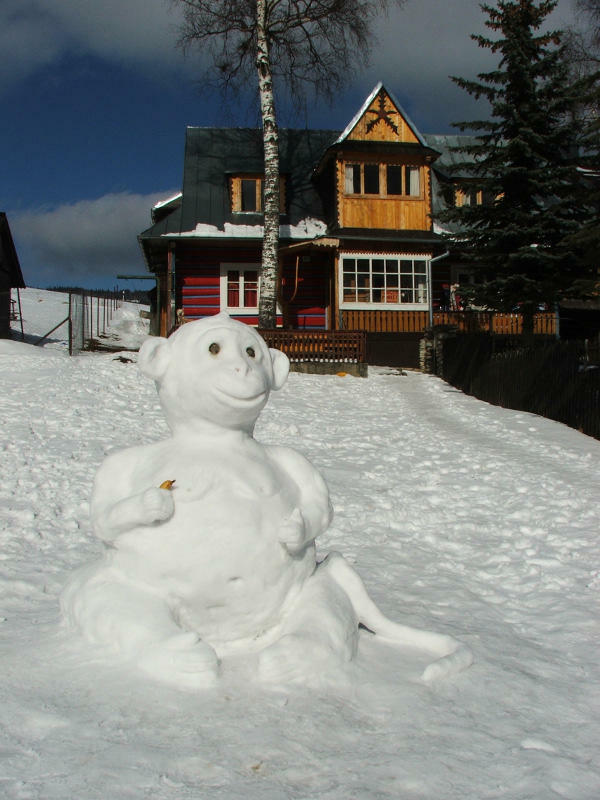 The Ginger Monkey Hostel has been set up by a couple of backpackers, in the beautiful village of Zdiar in the High Tatras Mountains, of Slovakia. Our charge includes everything, there are no other hidden costs, the breakfast and all day tea / coffee is included and we pay the local city tax. The Hostel is cosy, friendly and feels like a home away from home, it is quite small and so quite sociable. We have various dorms,and a large shared kitchen and lounge. It is a traditional building with all the comforts you have come to expect. Locally there are a plethora of activities, in the winter there is skiing / snowboarding within walking distance, ice hockey, trekking, caving, walking our dog 'wally' and in the summer there is even more trekking, paint balling, cycling, climbing, skydivng and loads more. If this sounds to energetic you can simply chill out in the lounge read a book or gaze at the mountains whilst drinking tea. We have restaurants and bars close by so you can get your Slovakian food and beer fix no problem, at a very reasonable price. Continuing on from Poprad gives you loads of choices for destinations as you can catch a train directly to Bratislava, Vienna, Prague, Budapest, Kosice (and then Krakow), and Munich. We have traveled around these places and can offer information advice and timetables for any onward journeys. If we are full we now have a second hostel called 'The Moose Hoose' which is just 50 minutes away in the beautiful town Stara Lubovna, it is tucked away neatly in the country side offering walking trails, hiking, local rafting trips, nightly fires / bbq's, mini olympics, 'Moose Hoose has Talent', and plenty more to keep you occupied for days. This hostel can also been seen on Hostel World. If you are coming from Krakow it is best to first catch a bus to Zakopane. 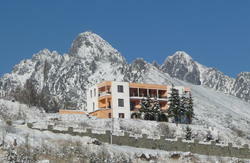 From here minibuses leave from directly opposite Zakopane bus station and go to the Polish/Slovak border Lysa Polana. The minibuses will be marked Polana Polencia or Morskie Oko. When you get to Lysa Polana cross the border by foot and catch the next bus heading towards Poprad. Buses to Poprad leave at 07.05, 10.40, 14.30, 15.40, 17.05 and 20.15. After about 20 minutes on this bus you will reach Zdiar. When you see the first petrol station get off, walk back towards the petrol station and head for the church entrance. You will see us about 30 meters away. From Vienna, Bratislava, Prague or Budapest, first catch a train or bus to Poprad. From Poprad catch a bus at the main bus station which is next to the train station. The service to Zdiar leaves from platform 5 and may be marked Zdiar, Lysa Polana or Tat. Javorina. In Zdiar look for the road sign for the petrol station (500 meters) and get off at the next bus stop. Then walk to the petrol station and then to the church where you will find the hostel.